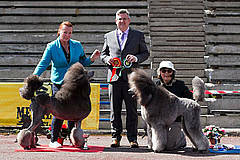 Romeo won Estonian Winner, Junior Winner and Junior Champion! 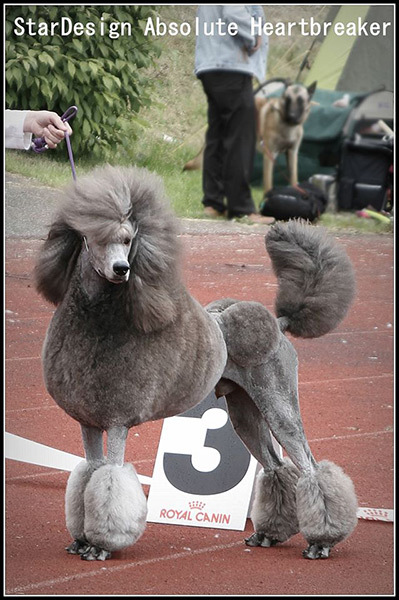 Romeo was on tour again ... at the Estonian Poodle Specialty 2015 in Tallinn, British judge Mr. Lee Cox awarded him Junior Winner, BOB and finally Junior BIS #4! What a day!!! Sunday he did it again - Mr. Satoshi Bessho from Japan awared him Junior Winner, including the title "Estonian Junior Winner 2015" and the final of Estonian Junior Championship. 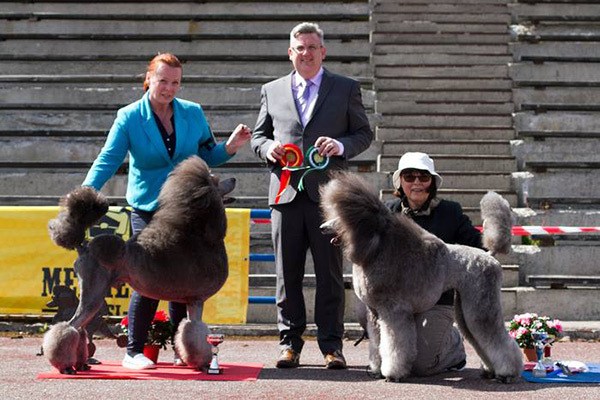 He won BOB against adult competitors and now can be called "Estonian Winner 2015". We are proud and happy with Nina & Elina! You are a great team!